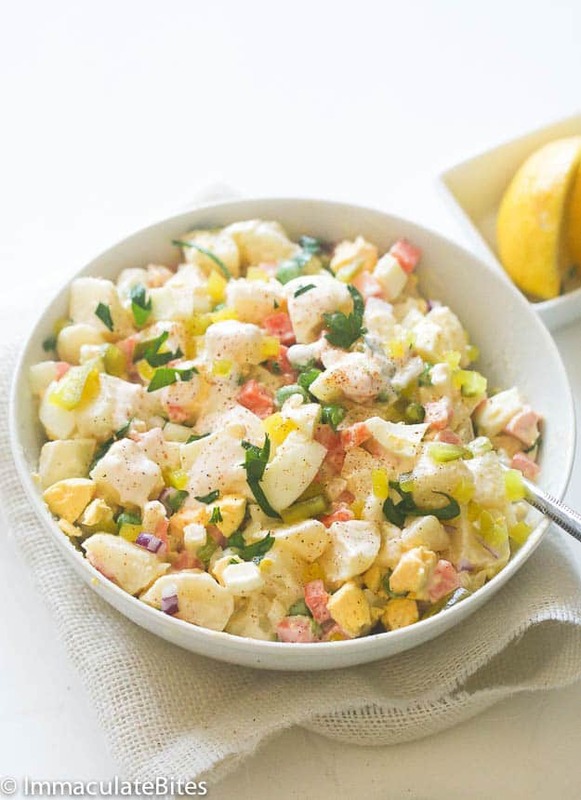 Caribbean Potato Salad -This incredible potato salad is creamy, luscious, tasty and chock full of vegetables. 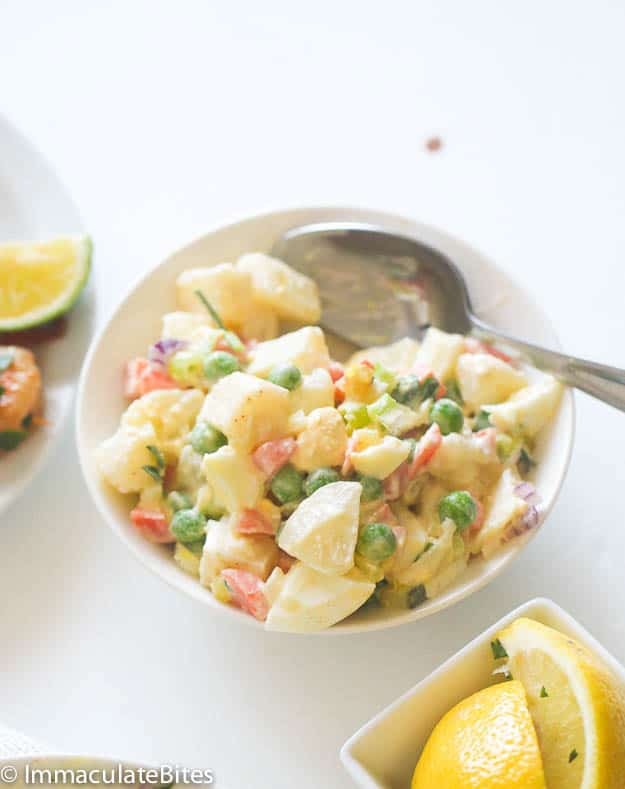 I would say this is the perfect potato salad for any summer barbecue and is great for picnics too. 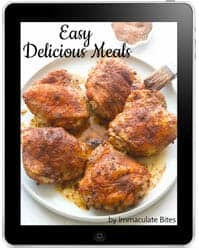 It is almost summer and barbecues, cookouts, parties and picnics are all the rage at this time of the year. 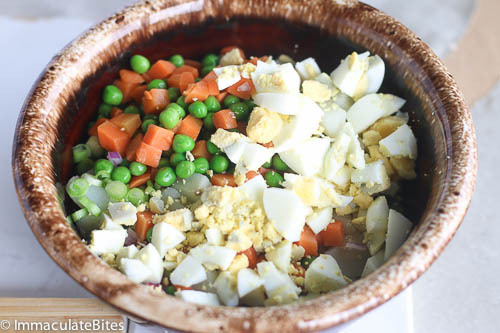 What makes this salad uniquely Caribbean is the addition of peas, carrots, and eggs and of course, Heinz creamy salad dressing- I just love Heinz salad dressing, it is a childhood favorite. Bring a pot of salted water to a boil. 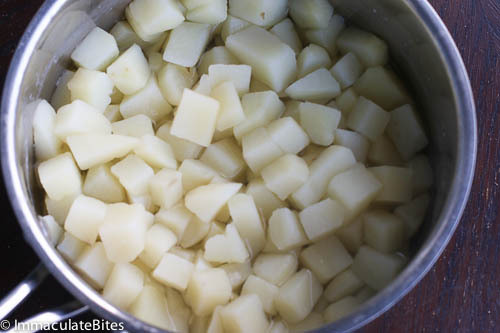 Then add potatoes and cook until tender but still firm to the touch, about 5-10 minutes. Drain water. 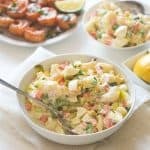 In a medium bowl combine the chopped onions, mayonnaise, sour cream, Heinz dressing , relish, Cajun spice, , mustard, and mayonnaise. Mix well, add to the potato and egg mixture. Adjust for salt and pepper.Refrigerate until ready to eat. Just use mayo or ranch dressing . I think i will leave the carrots out i like carrots but only cooked, I’m Polish and make it about the same way! 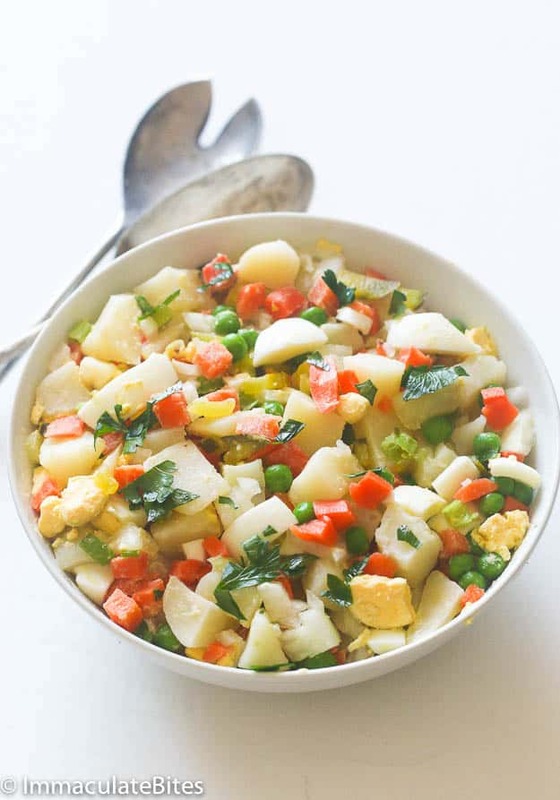 peas and carrots – are they frozen? fresh? They are frozen , thawed . Nice. It’s a great salad ! Always a crowd pleaser. 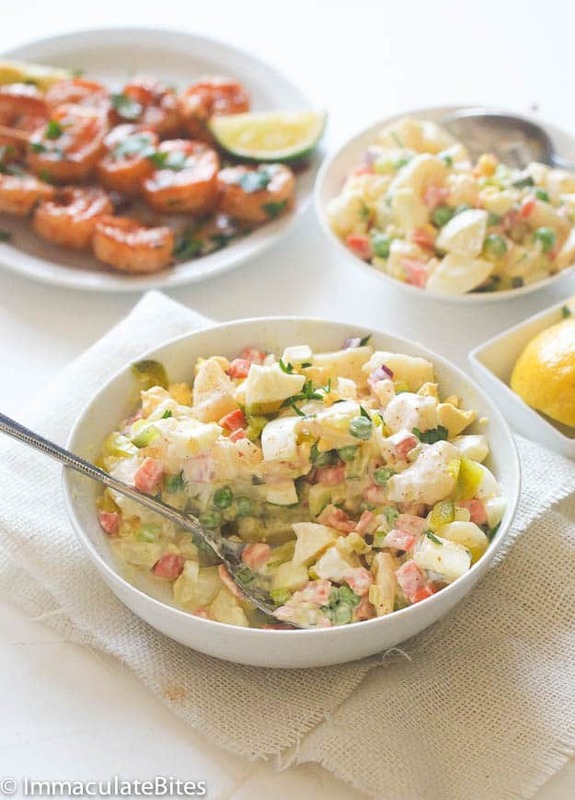 That very much looks like what I remember a Potato Salad looks like back home in the islands. And that looks great ! I’ll have to put that on my to make short list menu. What flavor of Heinz salad dressing? Also, how much should be used in the recip? Sorry for the late reply somehow missed it . They only carry one variety. I can’t wait to try this. In the recipe ingredients list there is no mention of sour cream. 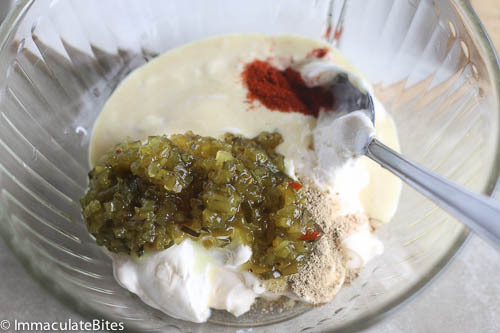 How much sour cream should be use? 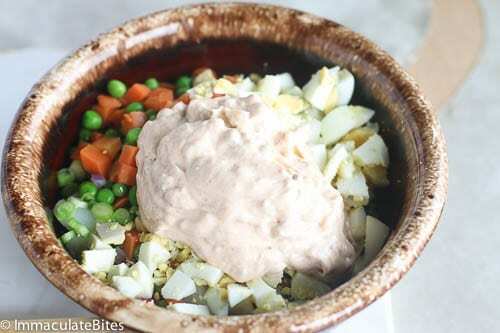 Recipe updated, I use the standard salad dressing – made by heinz, available in Caribbean African Markets and some super markets depending on your neighborhood. Hi Bridget! They are pickled cucumber, usually sold in jars. which Heinz? I saw several Heinz products.